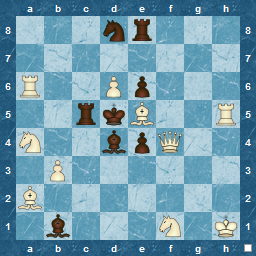 This can hardly be called a puzzle or that much of an exercise, since, effectively, it plays itself, but it was good to have seen this ( + a couple of previous moves to set it up ). It is undeniable though, that Black played himself into this situation. 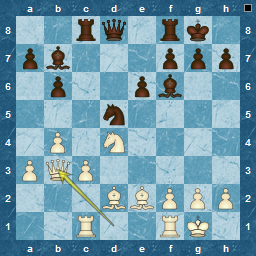 The sort of finish that I wouldn't manage in standard chess ! Well, a slight fabrication, since the actual position didn't occur, but it was one possibility that may have arisen. 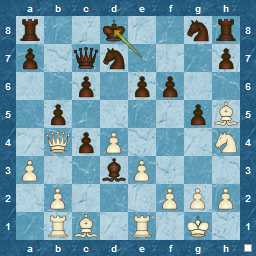 A recent game has been very level and threatens to continue as such from this position. 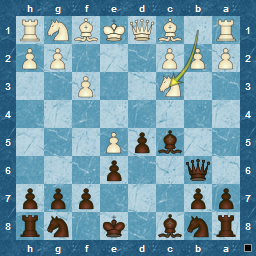 Black has just played Nxe5, winning a pawn. 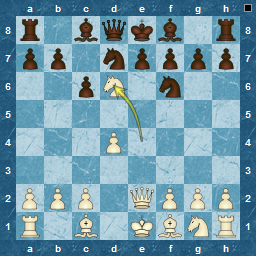 What if White decided on Nd4, to threaten the Rook ? 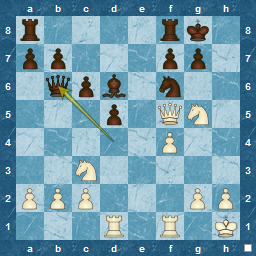 Where could the Rook retreat to ? 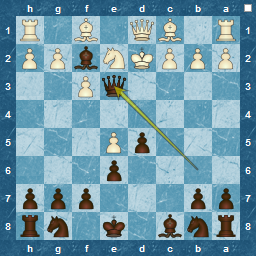 Wrong thought to have, as Nd4 presents Black with a very nice tactic ! 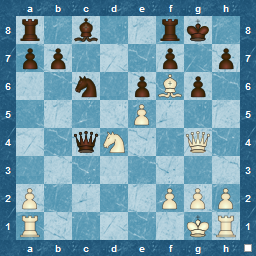 What should Black play ? 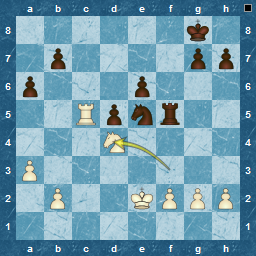 Another missed tactic from a recent game. 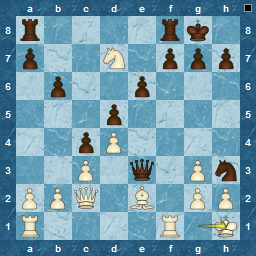 This time I did actually consider the move that I should have played, but didn't calculate it enough, and so dismissed it. 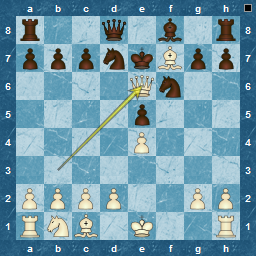 Should one trust intuition more in chess ? 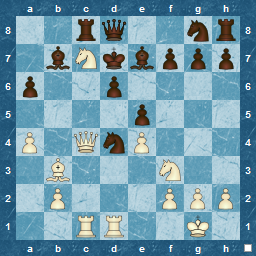 Result of not spotting this at move 16, was a 67-move game, including a long Rook + Pawn endgame. If nothing else that should be an incentive to improve ! 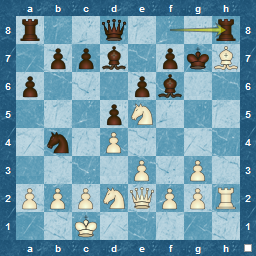 From a recent game..White to play and gain an advantage. 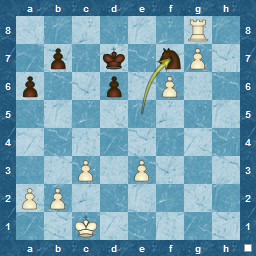 Luckily ( for me ) White missed this, just as I had overlooked it. 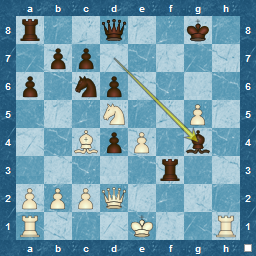 I was concentrating on the a- and b-pawn threat, and I guess he was too, as it wasn't mentioned in the post-game chatter. The clues about why b5 was bad, are obvious in hindsight, but I can assure you, I did not see them ! 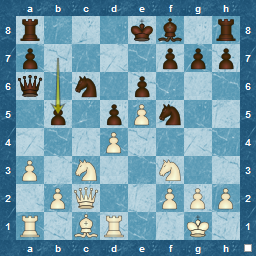 Not, you might think, how to convert a won position into a win, which is, for me, a very difficult chess problem, but rather a 'discovered' problem concocted by some fiendishly clever, and certainly time-rich programmers at Lomonosov University in Moscow. 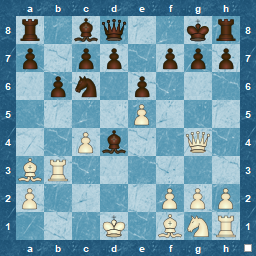 As a matter of completion, here's a summary of Openings played in the last three TLs, since I seem not to have done this individually, plus a couple of short checkmates ! For me, T57 was the longest with 9 games played, as Magnum Ignotum reached the final. ( In fact we have reached the play-offs in 5 of the last 6 seasons : not bad !). 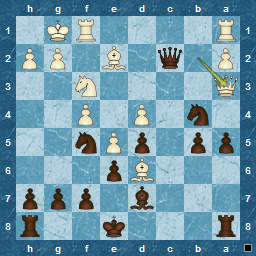 Although I had good results in T57, this was the tournament where I changed my repertoire for both Black and White., adopting e6 as my main defence and also moving to 1.d4 as White. These proved to be consistent with main TL openings, as e4 is still the most played, and the Sicilian, French, and Caro-Kann the top replies. No change there. For White, the main change, compared to T56. 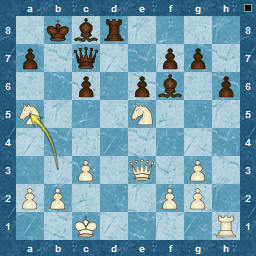 appear to be the increase in the the use of general Queen's Pawn openings, ie systems such as the London or Colle, as well as non-Queen Gambit openings, such as the Trompowsky. Yes, its that damned Caro-kann ! Black really needs to be careful ! 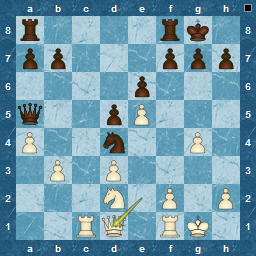 This short game started with 1.f4, but transposed to a King's Gambit, leading to mate in 9. Longest games ? 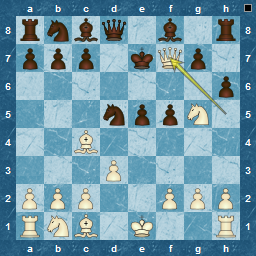 Again, over 100 moves there were 9 games, only 4 of which were draws, including the longest at 124 moves. 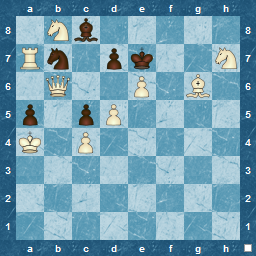 Finally, as a minor exercise, work out the short mating sequence here, where Black resigned after 8 moves, after a failed Latvian Gambit ! See also T56 Summary, T55 Summary, T51 Summary, T50 Summary and T47 Summary. One of the issues of reading newspapers on the web, is that you can easily miss things, since, on the internet, the act of turning pages, and some article 'catching your eye' is severely reduced, if not entirely lost. Although I used to exercise this indulgent act most Sundays, via the sharing of brunch, newspapers and coffee , it seems that this has slipped away over the years, and the Sunday breakfast is now a solo affair in front of a screen. Yes, its usually earlier in the day now, and often followed by a lunch, but, with regards to accidental discoveries, as Roy Hawkins puts it , "The thrill is gone". Reading through it, there are both great and dismal books mentioned, some of which I have to admit to reading ( many, and mainly, it is true,in my youth :). Siddartha, The Prophet and Jonathon Livingston Seagull, fed my esoteric teenage passion for sure, while Testament of Youth attempted to balance the more political history I devoured ( 20th Century Totalitarianism was one of my specialities at College). The Dice Man was something I 'borrowed' from my brother. I don't recall finishing it, since even at that age, I sensed it was probably too violent and sexual for me at that time ! Zen and the art of Motorcycle Maintenance : Who didn't read it among my teenage friends is easier to count than who did, although these days, I doubt if I'd go through it again. Many others lurk there, including The Holy Blood and Holy Grail ( allegedly re-worked as lucrative fiction by Dan Brown ), a book I read a few years after seeing the original BBC documentary about the priest and his treasure, and even Dune is there, a book I've read several times since the Seventies, and thoroughly enjoyed each read. But is there a chess book in this list of cult reading ? About what it means to think, and how that happens, this is written in the spirit of Lewis Carroll. Pattern recognition in the work of geniuses. Loved by maths geeks and anybody with Asperger's syndrome and anyone with sense. But at root a chess textbook. 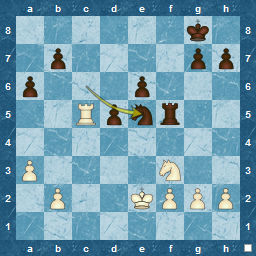 AMcK "
Before I even reached the indicative, final sentence, the mention of pattern recognition had already sparked off the flint of my chess mind, primed by the many mentions of "patterns are the key" by all those switched on Chess theorists. Needless to say, this is added to my own 'books to read sometime' list, although what number on the list, it is hard to tell. Not in fact all about the Lewis chessmen, but I defy anyone not to enjoy seeing all these wonderful treasures, including the chessmen, and not to marvel at them ! Only the King and Queen shown, but what amazing craftsmanship. Imagine owning these and being able to play a game with them.